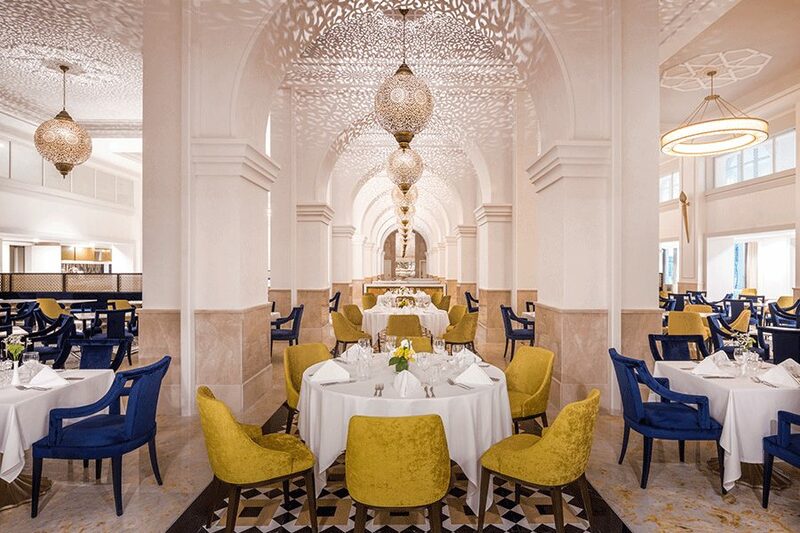 All year desert sunshine and Arabian hospitality await in the capital of the United Arab Emirates, a considered, confident city that melds traditional with state-of-the-art, luxury and tranquility. More self-assured and less frenetic than neighbouring Dubai, Abu Dhabi has taken a leisurely and measured approach to tourism. But I’m promised that it is not all about the sunbathing – from the bright-white beaches of the Arabian Gulf to the galleries of the Louvre, it seems there is plenty to keep one occupied in the glittering Emirate metropolis of Abu Dhabi. 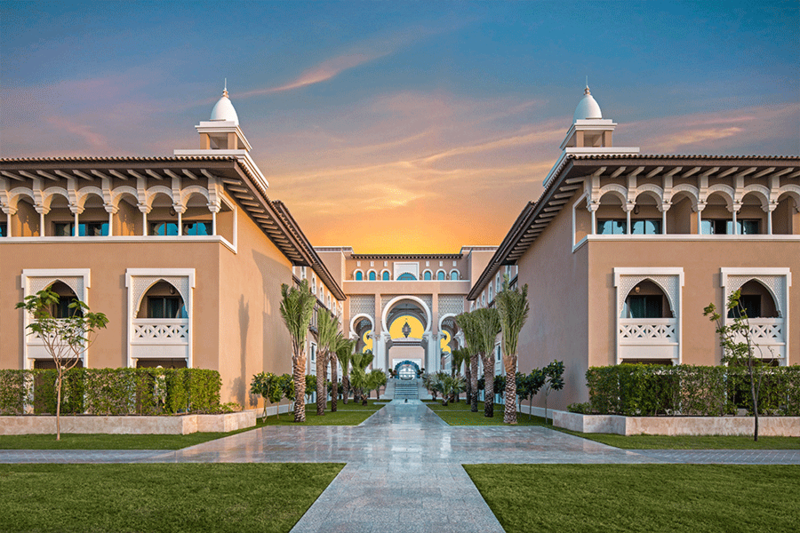 I’m staying just outside the city in one of the newest luxury hotels; situated on the pristine white sands of Saadiyat Island, five-star Rixos opened last October and is already making a name for itself as the place to go. Selling itself on an “all-inclusive, all-exclusive” approach, I’m assured that this luxury resort will take my holiday to the next level. Inspired by the palaces of the Ottoman Empire, the tone for my stay is set the moment I walk into the chic lobby. It is furnished in inviting turquoise and gold tones, and features tall decorative ceilings, water features and white marble floors. 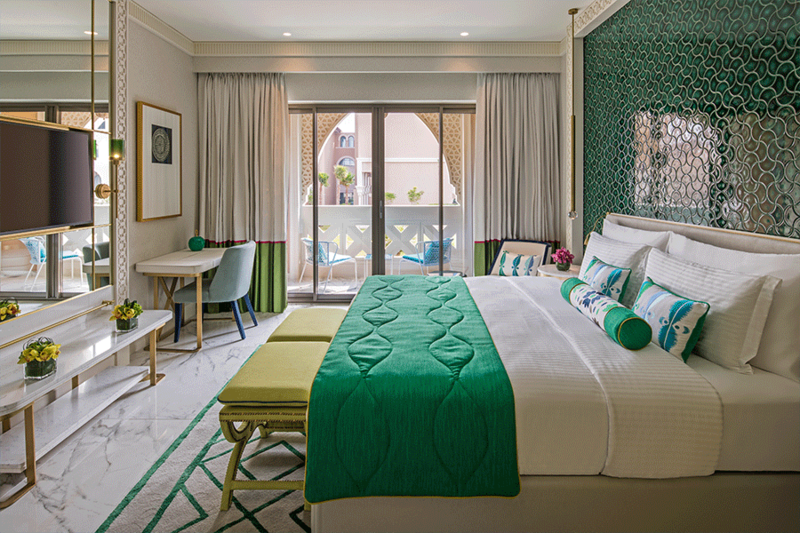 My stylish suite is not dissimilar in style, though a beautiful mosaic wall, a palette of gemstone green and dazzling royal blue, a sublime spa-like bathroom and luxurious white linen bed sheets ensure that it does not feel sterile. The room opens out onto a small terrace that overlooks the expertly kept, luscious green gardens and the turquoise sea on the horizon. 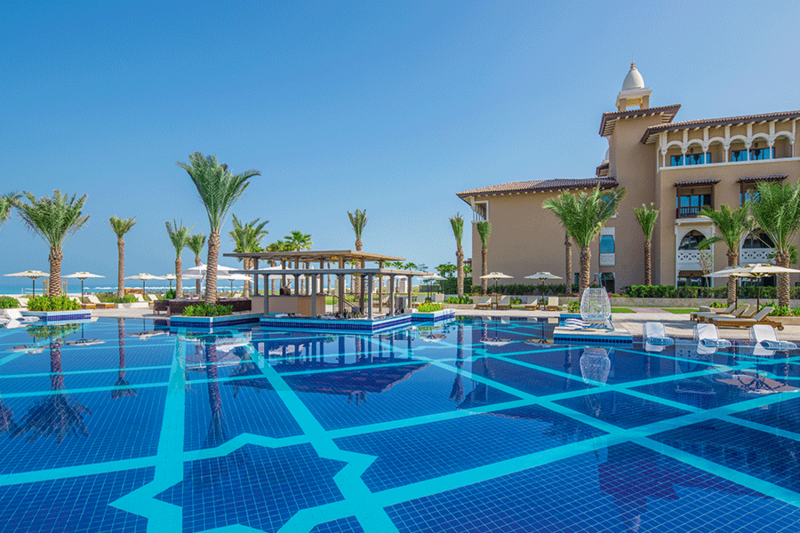 There is a total of 366 rooms here, plus 12 three- and four-bedroom villas, all with either shared or private pools, direct beach access and a butler service – Rixos Saadiyat Island Resort is certainly vast, but it feels quiet and discreet. Out on the beachfront I discover Lounge Bar, which seems a good spot for sunset drinks to celebrate the start of my holiday. Later, I dine at Orient. Set on the fifth floor and boasting extraordinary sea views, this fine dining oriental Turkish restaurant is decked out in red, gold and blue, and looks lavish and inviting. The atmosphere is intimate and relaxed, the background music soothing, the service friendly and the food fabulous – I am not disappointed. Breakfast the next morning – an expansive open buffet – is served at all-day dining restaurant, Turquoise. I’m keen to spend my first day familiarising myself with the resort, and it doesn’t take long to discover that Rixos’ “all-inclusive, all-exclusive” claims do not just refer to the food: the island also boasts a water park complete with wave pool for all ages, a children’s aqua park and Rixy Kids Club to keep the little ones happy. For the adults there’s the Anjana, a spa inspired by the age-old wellness customs of Turkey. Nestled within the resort, it’s the place to go if you want to unwind in the sauna, relax in the steam room, or take a peaceful dip in the private outdoor pool. I am up and out in the pre-dawn darkness the next morning, ready for a desert safari excursion. A short 40-minute drive sees me in the heart of the desert at the Arabian Nights Village. It is a low adobe style retreat surrounded by ancient stone walls, that is seemingly miles from civilisation. After a very light buffet breakfast (and you definitely need to go light), I’m greeted by my desert expert. As I climb into the 4×4 I have no idea what lies ahead. It’s a bumpy ride and within minutes we are bouncing off and over the sand dunes. We fly up one dune and down another, cutting shapes in the sand. I hold on to the roll bar above my head for dear life, convinced we are going to barrel it down and be lost forever in the shifting sand dunes of Abu Dhabi. I needn’t worry though, this guy really is an expert, and after about 20 minutes we stop on one of the highest dunes, where we jump out and marvel at the 360-degree views of the deserted landscape. Nothing short of an adventure: the journey has been exhilarating, death-defying and magical all at the same time. Later in my stay, I arrange a visit the Louvre Abu Dhabi. Ten years in the making, the complex, especially the geometric dome, is a work of art in itself. I marvel at French architect Jean Nouvel’s unique use of light, and happily spend time simply wandering around under the dome. The art on display is equally impressive: the permanent collections and temporary exhibits include loans from 13 French museums, including the original Louvre in Paris, housed in the 12 galleries spread throughout 55 buildings. It is seriously impressive stuff. I find more cultural fulfilment at the Sheikh Zayed Grand Mosque. One of the world’s largest mosques, it is named after the late president, who wanted to build a place that showcased the cultural diversity of Islam side-by-side with modern architecture and art. Known for its white colour– symbolising purity and piety – this place is brilliantly beautiful and best enjoyed in silence as the sun sets. I have been blown away by Abu Dhabi. With balmy temperatures year-round, a seven-hour flight and a very manageable three-hour time difference, whether for a long weekend or a whole week away, the UAE certainly seems to have it all. 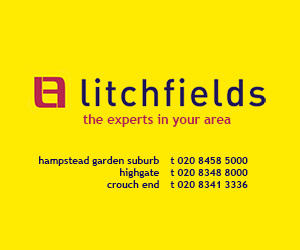 And you can guarantee that a warm welcome awaits – as the locals say bayte baytak (my house is your house).